The stem tuber of Smilax glabra Roxb. of family Liliciceae. Southern provinces and valley of Yangtze River. Collcected in summer and autumn. Non-smelly, slightly sweet and astringent taste. Sufficient mealiness, less fibers and light brown cross-section. Sweet, bland, slightly cold; liver and stomach meridians entered. Clear heat and remove toxicity, excrete dampness. With the actions of clearing heat and removing toxicity, it is indicated for sorcs, abscess and deep-rooted boils, swollen and sore throat, swelling and pain of gum. 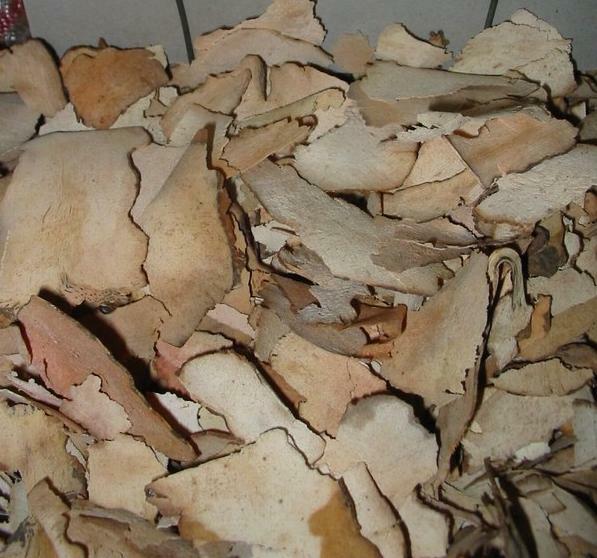 Usually it is combined with Lian Qiao, and Pu Gong Ying which are specialized in removing toxicity and curing abscess. Tradition tells that it has a combined action of anti-mercurialism and easing joint movement and is much suitable for treating syphilis or hydragyrism due to syphilis mistreatment which is manifested as spasm of limbs, pain of tendons and bones, swollen pain of gum, and ulcer of bucca cavioris. So it is commonly indicated for syphilis, and can be decocted singly in large dosage for oral taking, or combined with heat-clearing and toxicity-removing herbs which are decocted and taken frequently, such as Jin Yin Hua, Bai Xian Pi, Yi Yi Ren and raw Gan Cao, etc. It excels in removing dampness and clearing heat as well, so it is commonly indicated for syndrome caused by damp-heat such as stranguria, arthralgia, leucorrhagia, eczema, and so on. For stranguria syndrome due to damp-heat, it is often combined with Bian Xu and Che Qian Zi which are herbs for inducing diuresis and relieving srranguria. For arthralgia syndrome due to damp-heat, it is often combined with wind-damp-clearing and heat-clearing herbs, for example, Qin Jiao, Fang Ji and Luo Shi Teng, etc. 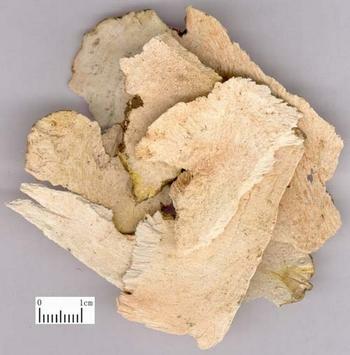 For leucorrhoea due to damp-heat, eczema and pruritus, it is often combined with heat-clearing, dampness-drying, and itching-stopping herbs, such as Huang Bai, Ku Shen and Bai Xian Pi, etc. In addition, it can also be selected to treat damp-heat syndrome such as damp-warm, diarrhea and dysentery, etc. Dccoct 15~60g. Proper dosage is for topical application.